As the winner of the Chef Stagiaire Award, September announced the start of Emily Greenough’s all expenses paid trip around the world to stage with two globally renowned restaurants – Atelier Crenn in San Francisco and Zighy Bay in Oman. 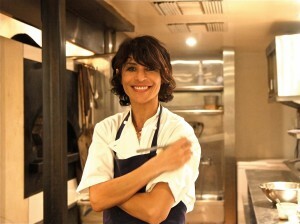 San Francisco is the first stop on Emily’s international stage, and the talented young chef is currently working in Dominique Crenn’s critically acclaimed restaurant and two Michelin starred Atelier Crenn. Emily flew out to San Francisco on the third of September and has been busy not only working hard in the Atelier Crenn kitchen, but also sightseeing within the Californian coastal city.